Wine Tasting at The Lark - Sept. 19, West Bloomfield, Mich. Sand Hill Road Luncheon Series featuring Eric Young '78 - Oct. 7, Menlo Park, Calif.
"The Philosopher Kings," a film featuring Cornell custodians James Evener and Gary Napieracz, will have its broadcast TV premiere on Labor Day, Sept. 6, on the Documentary Channel (Channel 197 on DISH Network and Channel 267 on DIRECTV) at 8 p.m. EDT (encore screening at 11 p.m.). 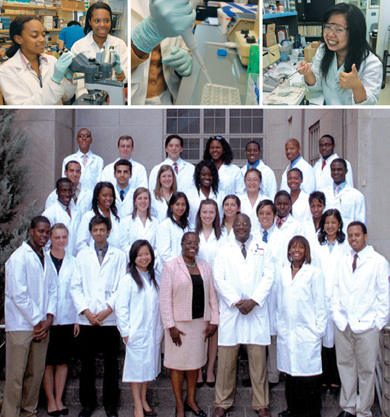 Sheryl Hilliard Tucker '78 and Gene D. Resnick '70, M.D. '74, began their four-year terms on the board of trustees in July. 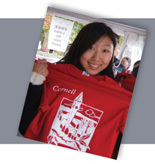 Come back to Cornell Friday, Sept. 24, for a Homecoming Weekend to remember. Show your Cornell spirit at tailgate parties, a parade, class and Greek events, concerts and watch the Big Red football team take on Yale. Jane Lynch, three others were among the winners at the Aug. 21 and 29 awards in L.A.
Corning Inc.'s technology officer for Asia is a leader in innovations for the electronics market. Students in the Class of 2014 represent 42 countries, 49 states. New study by Ithaca, Weill Cornell researchers looks at risks of even occasional smoking. New Student Reading Project selection's themes discussed around campus. From butter art to barbecue, the CALS and Vet College deans enjoy opening day. Please send editorial comments and suggestions for Ezra Update to jjw33@cornell.edu.